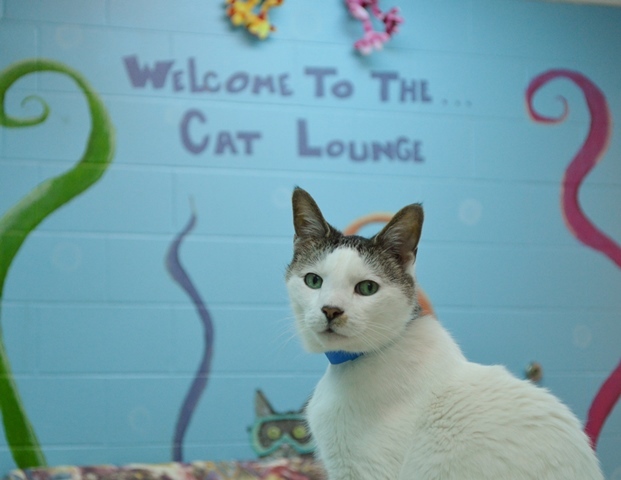 The VHS' Petcube Play offers a live video feed of our Cat Lounge to those who have downloaded the PetCube mobile app! If you’d like to watch our felines from home on your own device, download the free PetCube app. Create a free account and search “VHS Cat Lounge" or "vhscatlounge." Either one should bring up a live feed of our Cageless Cat Lounge 24/7! It also has a built-in laser pointer. Turn your phone to landscape to get in line to use it. Once the red dot appears, drag your finger across the screen to play with the cats. Have fun!